If you see something unbelievably beautiful, make sure you don’t destroy it and do your best to preserve it for the next generation to enjoy. 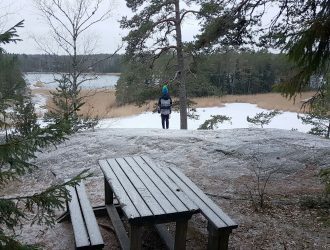 This was the case with Kiikunlähde spring in Hollola: it is enchanting and breath-takingly beautiful but easily destroyed by tourists who don’t take make sure they protect it. 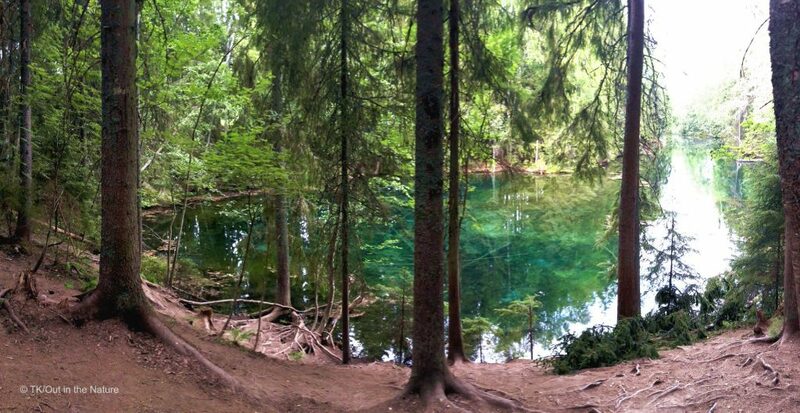 Until a few years back, Kiikunlähde spring was a unique place known only by the locals who lived in the nearby area. I had read about it in a newspaper a while ago so when my teenage relatives were visiting me, we decided to see it for ourselves. The drive up to the area was easy on gravel paths that are just wide enough for one car. Thankfully there are always wider areas for overtaking. My teenage relatives were happy to get the chance to see and photograph another natural gem so they were eager to get to our destination. We first drove to and parked our car next to the actual spring lake and wondered at the stunningly beautiful see-through emerald water. 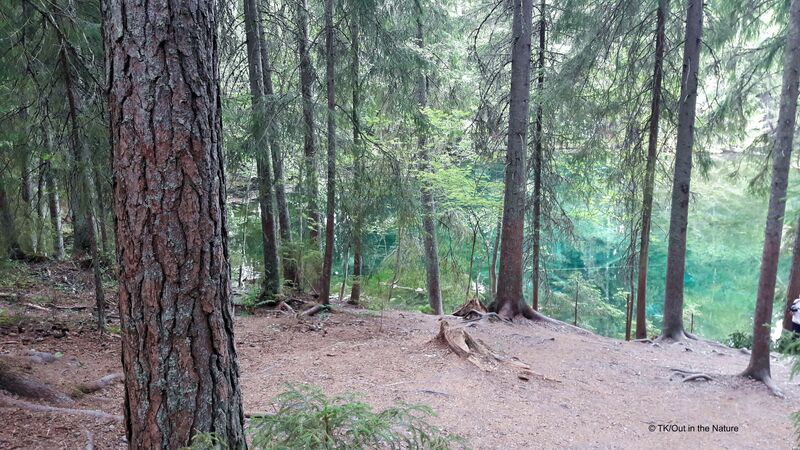 Then one of the locals came to talk to us and told us that the actual spring was 500m from the lake and that we could visit it. 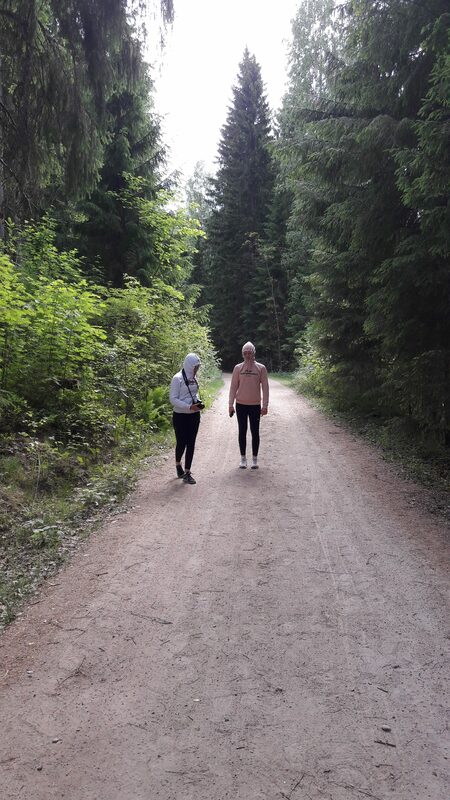 So, we retraced our steps, parked our car at a small parking area (where the local library bus also stops) and walked the rest of the way, about 200m down a forest road. The road was very well kept as it also serves private properties. There were signs everywhere telling us that the area around us was private property so I suspect they have had problems with tourists not respecting private property. We made sure we didn’t trespass on anyone’s home and walked along the path until we saw a sign that said ‘Kiikunlähde’. 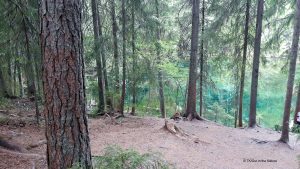 We noticed that the area leading down to the spring was very damaged: the forest floor had been completely destroyed by probably thousands of visitors. The path down to the shore of the spring was very steep and we had to hold on to trees because the ground beneath our feet had no grip to it. We went slowly but surely down to wonder at the sight. You could see the fallen trees on the bottom of the spring, all the hollows and rocks through the emerald-green water. It was something I had definitely not seen before. But we agreed that we saw the same thing from the road and seeing the spring from there made less damage to the area around the spring. After some photos, we once again escaped the blood-thirsty mosquitoes (honestly, they are more deadly than any wild beasts!) by half-running back to our car. No matter how many pints of blood we lost during the visit, it was a sight to remember. Address: Kiikuntie 165, Hollola. This address has a tiny place where you can park your car or your bikes there for a short while. It is not an official parking space so you may have to find another place to park. However, the area has plenty of private properties so make sure you don’t park your car in someone’s driveway. Address of the actual spring: You have to walk from the carpark to the spring. Please note that this is surrounded by private homes so do not try to cut through their yards. Stay on the road until you see a sign pointing to Kiikunlähde. Alternative viewing point for the spring (less damaging to the nature): Leave your car at the carpark and walk to the side of the lake. You can see the colours very well from there. How to get there: You can get to Kiikunlähde by car, by bicycle or by bus. Car: Easy. Just follow your navigator to the carpark address. Public transport: Buses from Lahti run to Kiikuntie bus stop, and then you walk 2,3km from there to the spring. Check out the timetables here. Buses 11A, 62, and 63 go to the station called Kiikuntie (correct at the time of writing). Note that buses may not go well during weekends or late at night. Accessibility: The path from the main road to the spring itself is very worn so be careful. 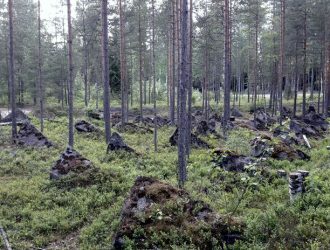 It may support a light buggy for children and even a wheelchair but note that it is the natural forest floor as well as bedrock with moss, branches, and rocks. 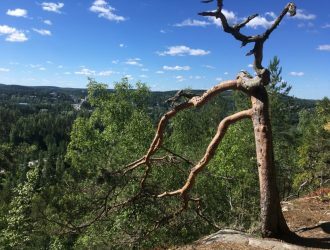 There are some low-hanging tree branches to watch out for, and if you want to get really close to the spring, you will have to do a short but steep walk down/uphill. Special remark: Because of the high number of tourists who visit the spring, the land around it has eroded severely. You can see the spring from other areas as well: try walking left from the carpark to the side of the spring lake and you can see the wonderful colour of the water from there as well. Make sure you don’t leave any rubbish and make sure you don’t erode the area more. 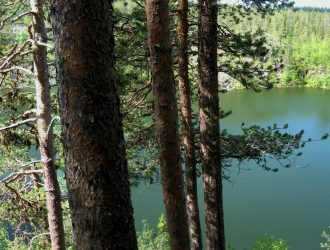 When to go: The best time to visit Kiikunlähde spring is when there is no snow. You really can’t see much if the spring is frozen. What to wear: Walking shoes. Mosquito repellent in the summer.